The famous Pokemon cartoons and now Pokemon Go! The game everyone is talking about after the massive launch in UK and Britain and now it’s everywhere. The Craze of this game has swept the whole world and from excitable children adults and even business workers everyone is pointing their smartphone on street corners, Gardens and other places and if you are reading this post you must be one of them. So, you want to catch all the Pokemon’s or your favorite ones like Pikachu, Charmander, Squirtle then here are some Pokemon Go tricks, let’s capture them all. If Pokemon Go is not available in your country then this is the trick to download pokemon go in all countries. The latest and the record-breaking game is making people crazy. Every body is wandering around the streets and backyards while pointing their heads down catching pokemons. However if you want to master Pokemon go then you would need to know all the basics. 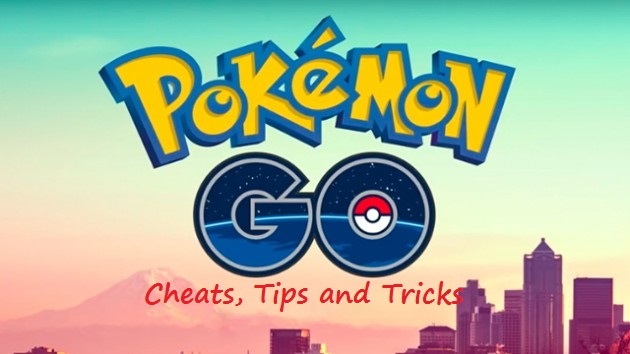 Below are some Pokemon GO Cheats and tips that will help you master Pokemon. Pokedetector is just released and a new tweak currently available for android. What it does is, it notifies you about pokemons that are around you instantly. So, catching pokemons for you is now more easier than ever. Put your phone in your pocket and wander, pokedetector will get you nearby pokemon notification. Every Pokemon-Go player wants to catch Pikachu and you can make Pikachu your first starting character. When starting a new game you will be asked to catch your first Pokemon but skip it, again your phone will vibrate skip again do this for 5 times and you can catch Pikachu now make it your first. While catching a Pokemon draw a circle around your Pokemon ball to get an extra spin bonus XP and when catching a Pokemon pay attention to the circle color, the red color means difficult to catch so to capture wild Pokemon throw your ball when it’s green. If you are kind of lazy person and want eggs to hatch without doing any of walking then place your phone on top of a record player and let it spin this will increase your walking distance and it’s a hack. Pokepatch is a jailbreak hack tweak for iOS device. If your iPhone or iPad is jailbroken then you are gonna need pokepatch tweak to bypass jailbreak detection in pokemon go because pokemon does not work on jailbroken device. To get an Excellent! or Great! when throwing Poke ball press it and hold it you will see colored Circle/ring it will shrink wait for it to become smallest and you’ll get an Excellent with XP. The number of footprints indicate Pokemon distance and one footprint means Pokemon is near. When your level gets higher collect Razz berries as these are helpful in Catching Pokemon. This game is 24/7 and to Master it keep the app running and don’t worry about the Battery no doubt it drains battery but luckily Pokemon Go comes with built-in battery saver find it in settings and enable it. For now that is all we know about Pokemon GO cheats, tips and tricks. We will add more tips and tricks keep visiting and share this post. Also comment below to share anything new about PokemonGo, Thanks. Bye.